The thought of making a career change can invoke all sorts of emotions, from excitement at starting afresh to anxiety about throwing away a stable job. 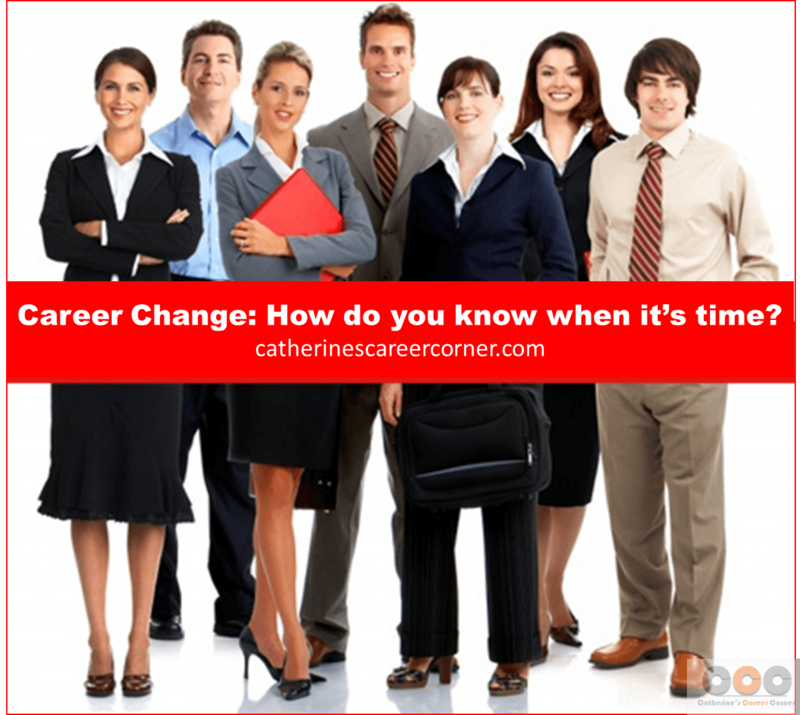 So, when it comes to career change, how do you know when it’s time? While making a career change is not to be taken lightly, it is also not something that should be thought of as impossibly difficult. Ask yourself if you are facing crossroads at which you need to decide between staying in your current field and moving to a new one? Then, ask yourself if you have a lot of skills that you are not using in your current career or if you have been promoted to a point where you are no longer doing what you love? 1) Why do we want a change? 2) When is the right time to change? 3) Are we truly ready? If you have always wanted to follow a certain career path but due to circumstances, such as taking care of your children, lack of confidence, lack of money, recent experience of a change in your life – loss of job, illness, a move abroad – you have not been able to, then a time will come when you have to reassess your career choice. Past change experiences may also give you the courage to leave a job that you hate or to kick-start a career that has stagnated. 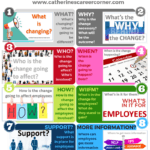 Whatever your personal situation, you have to develop a career plan, then, realise that reaching the change decision is not just going to be an emotional journey, but one that is practical too. It is important that you answer the very real questions of how to gain the support of concerned family members and relatives. Then, financially, how will you cover your mortgage and other financial responsibilities if the change does not go according to plan? See Career Development Made Easy and Take the Test. If you’re bored to death sitting at your desk daily at work: If you have gone into your career expecting great challenges, and with specific goals in mind, and now that you have finally achieved the goals and decimated the challenges with good results, you’re simply bored because no other challenges are coming your way. There is nothing more to learn and very few surprises. This circumstance is a good clean break with no confusion or ambiguity. You detest your job: Usually people get to this point after an ongoing bombardment of unacceptable events. For instance if you have a boss that is constantly on your case, in an office where your contributions are seen as mediocre, without any offer of development opportunities and training, then, you will detest your job. People rarely leave a job because of just one thing. People can get depressed and have a dent to their self esteem and confidence. In truth, the career might have been good, but so much damage has been done that you need to walk away and start over. The career is sinking with you in it: Some careers are shrinking fast until they no longer exist. All you have to do is think about how hot Sony Walkman was until the invention of iPod. If you were working in an assembling plant putting a Walkman together, it would not have been wise to get too comfortable the day you spot your son with his brand new Mp3 playing iPod. For example, today loads of workers in print journalism will find this situation to be true. 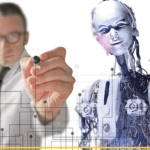 eProducts are leading now more than ever before. Nobody should wait until they go down with the ship! It is important to think of other careers and have a plan so that you can leave before you’re forced to. Let’s face it; it is hard to admit things like this, so it is important that you are honest about the future of your career. Start figuring out your next move in terms of your career as soon as you discover that there might be problems ahead. You Are Experiencing Job Burnout: Once upon a time you loved going to work everyday. You no longer feel that way. You can’t stand doing your job anymore and changing employers hasn’t helped. It could be time to chill for a bit, update your skills, seek other pastures, plan your future and find a career that will inspire you. You have just gained another skill or a new qualification: If you have just finished studying or added on a skill that is highly desirable to your skills portfolio, you may want to do something that makes use of your new qualifications. You hate nearly all the tasks you have to do at work: Agreed, every job has parts to it that we don’t like to do; unfortunately the tasks in most cases are necessary. If there are too many things you do that you’d rather avoid daily at work, then, it makes no sense to remain in the role that will require the tasks. 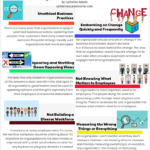 If you can change the way the tasks are performed, then suggesting a change might help because even if you change your place of work, these tasks won’t go away but there might be better ways of doing them. For instance, if you are a till operator in a big supermarket and you hate counting money, then, you are in the wrong job. You are discontent as your efforts in your field are going un-noticed: If you continue to work your back side off especially to ensure that things are going on well where you work, but all your efforts are never noticed or appreciated, then, you may have to consider changing your career. You may be a proactive person and have worked on some of the things that have dissatisfied you about your career. However, despite your best effort, nothing seems to change. It may be time to move on. You are restless: Your career has been rewarding but it’s not holding the interest for you that it used to. So, you constantly think other things look better and you are day dreaming about what it would be like to shake things up a bit. You may not feel too motivated to really take that leap, but the stirring within you is becoming a constant companion. Trust me; it is good to listen to yourself! There is a reason why your alarm clock is going off and telling you that it is time for you to change your career. You Want to Earn More Money: Believe it or not, money isn’t at the top of the list when it comes to job satisfaction. Therefore, don’t be surprised if the career that will bring you higher earnings isn’t the one you will find particularly satisfying. That said, if other reasons are leading you to consider a career change, higher earnings should be something you consider when you choose a new career. Obviously, there are several other reasons why you would consider a change of career but the reasons above are the most common ones. Attempting to change careers without a plan is a no-no! A successful career change can often take months to accomplish when you have a strategy, so without one, you could end up adrift for an even longer period. Have a detailed action plan (including items such as strategies, finances, research, and education and training) is essential to your success. Without a plan, you might take the first job that comes along, whether it is a good career fit for you or not. Don’t confuse hating your current job with hating your current career. Take the time to analyse whether it’s just your decision to stick with the job, the job, your boss or your supervisor that you hate, or whether it’s the career or skills involved that you dislike. The same goes with if you are feeling bored or lost with your job; review whether it’s the job, employer, or the career. Don’t change your career based on the success of others. It’s human nature to fall into the trap of comparing ourselves to others. Just because your friend, sister or neighbour is successful in a certain career does not mean that you will be or that you will be happy doing it. So consider the career field, but make sure you do the research before jumping into it. Making a career change without the necessary experience or education: As a career-changer, you must find a way to bridge the experience, skills, and education gap between your old career and your new one. While transferable skills are an important part of career change, it is often necessary to gain additional training and experience before you can find a good job in a new career field. Research whether you need additional training, education, or certifications. And try to find time to volunteer, do internship work, or consult in your new career field – that is what some experts refer to as developing a parallel career. Consider doing this before you quit your current job and search for a full-time position in your new career field. So what are your own reasons for considering a career change? Does any of the above sound familiar? Talking to your mentor, a career coach or a change expert can help you make sense of your situation, and clarify what it is that has led you to consider a career change. Who knows, you might not want a career change at all, but you might want to improve your personal effectiveness at work or improve your work-life balance. Let’s hear from you if you are considering a career change. I am in the process of changing my career. I am tired of sitting in an office and all the office politics, so I decided to train as a teacher. Wish me luck! I like the article, especially the focus on the pitfalls of career change. Greetings from Australia. It’s always good to have objective picture. So I would advice to assess your career match.